The Towers at Spring Creek have been designed to fit the luxurious lifestyles our residents seek. Reach the pinnacle of high-end living from our ideal location in Garland, Texas. As part of the Dallas–Fort Worth metroplex, Garland enjoys the rich cultural influence of Dallas, the historical charm of downtown Rockwall, and lush natural scenes including the beauty of Lake Ray Hubbard. 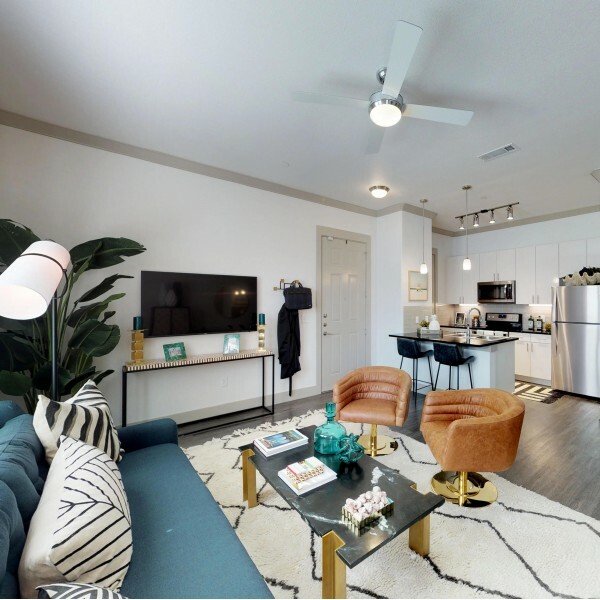 Located alongside the President George Bush Turnpike with quick access I-30, Highway 75, and the Garland Dart Station, your lifestyle will never be impeded. Our proximity to a variety of local employers including the State Farm Headquarters and Raytheon so you don't have to stress about a long commute. We know that you'll enjoy all that our prime location has to offer. Choose from only the best one-, two-, three-, and four-bedroom floor plans each featuring exquisite 3cm Black Galaxy Granite countertops, modern glass tile backsplash in the kitchen, and wood plank-style flooring, so you can build your lifestyle on our luxury foundation. Add in our exceptional set of amenities, and you have an unrivaled opportunity to make your next home not just a place to live, but an experience worth sharing. Whatever spells luxury in your life, we'll have it here at The Towers at Spring Creek. Browse our photo gallery and call today for a tour!